A moisture-rich lip balm that adds a hint of color in response to the moisture level of lips and shields lips from dryness with a dewy, rosy tint. Ideal for those seeking moisture for dry lips. Restores softness and a dewy glow to the lips for a natural, healthy rosiness with soft contours and luster. 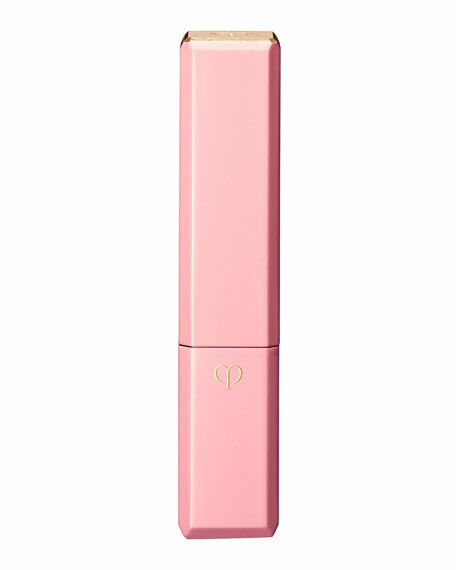 Produces color in response to the moisture level of lips. Infuses lips with moisture and protects lips from dryness throughout the day. Smoothes the surface of lips to even the finish of lip products applied on top while improving the color and wear. Glow-up Oil Base, a three-part innovation made up of colour components and luminous oil, helps lips appear plump and soft. Shea Butter, Safflower Oil and Premium Argan Tree Oil moisturize, improve dryness, and help to make vertical lip lines less visible with continued use. Can be used alone or as a primer. 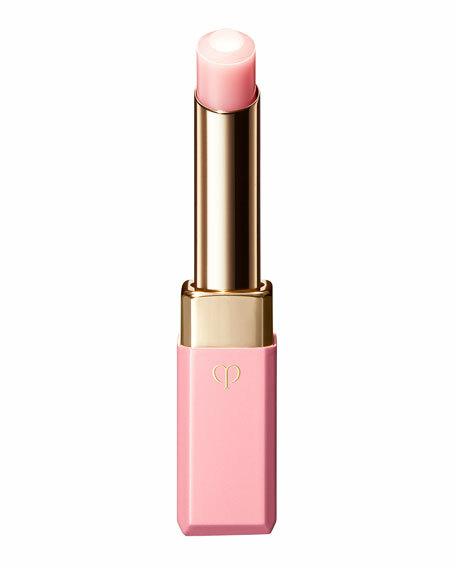 Extend product from case and apply directly to the lips.